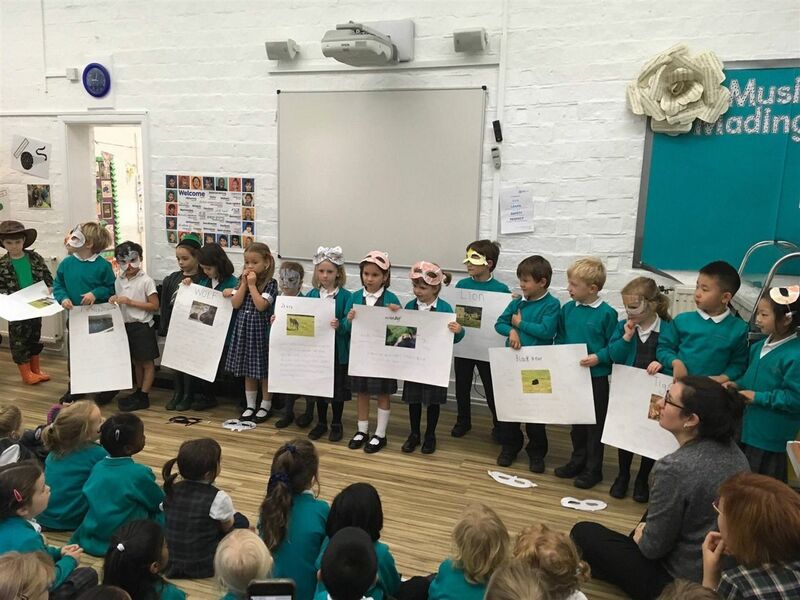 On the 6th of October Year One had the opportunity to share their learning with their parents and the rest of the pupils. 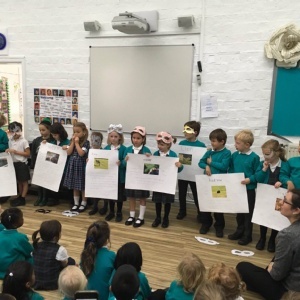 Year One did their assembly about Animal Kingdoms. Children designed their own animal masks and sang a song inviting others to go to the zoo with them. Then they shared all their knowledge about the Woburn Safari animals reading big posters aloud. We learned lots of new facts about them! They used labels and captions to summarise the information. Finally, a Spanish goodbye song closed the assembly. An iMovie was also shown for others to watch Year One's every day learning.